This release adds a feature to convert a tag into a tag-fragment. The Tag menu in the main menu was removed. 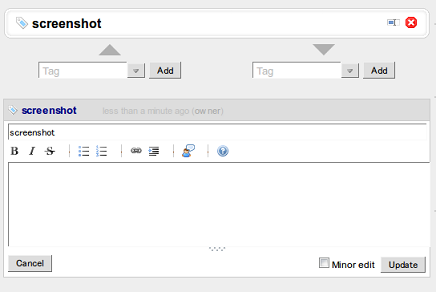 Though the tag tree and tag cloud in the menu are not available in this version, they will be re-implemented to be more accessible in a later version.